Fred Wilson discusses how to deal with your identity online, particularly as a search result. Fred’s readership also provides some very interesting commentary at the end. One thing that’s rarely discussed is the benefits of keeping much of your normal online activity private. This past friday afternoon, I joined David Karp, founder/CEO of Tumblr, Dennis Crowley, founder/CEO of Foursquare, Aaron Earls of New Media Strategies, and Chris Grosso of NBCU at the MBA Media and Entertainment Conference to talk about social media. This is a yearly event that brings together MBA students from Duke, Wharton, MIT, Columbia, and NYU who are interested in working in the media and entertainment sectors. At one point in the panel discussion, we got a question about how these MBA students should use social media in their job search. The woman asking the question specifically wondered how prospective employers would react their Facebook pages and Twitter feeds. David’s point is that you can’t control what other people do (tag you in photos, post pictures you’d rather not see online, say awful things about you), but you can control what the Internet sees about you by overwhelming it with your social media presence. I think David is right and I’ve certainly done that. If you search for fred wilson, you’ll see links to at least a half dozen social media properties that I’ve built a strong online presence on. You don’t see links to negative articles or blog posts about me, and there are some of them if you look hard enough. Let’s contrast that with NYC Speaker Christine Quinn, who I know well and like. If you search for Christine Quinn, one of the top links is to a site called christinequinn.com not a website she’d like to have in her top links. What we don’t see in her top links is her blog, her Twitter, her Tumblr, etc. If she had all of those up and running and was actively posting to them, she might be able to run christinequinn.com off of the front page of her google search results. A few years ago, I bought the internet domains of all three of my children’s full names. My two daughters now operate active blogs on their domains (I link to them on the upper right of this blog) and both of them come up in the first page of search results when you google their names. They still spend way more time on Facebook than their blogs but they are building their online brands at a young age. And they can tightly control what goes on those pages. Chris Dixon and Charlie O’Donnell both advocate the value of the “blog as resume” and recommend starting one to everyone who asked for their career advice. I’ll join that chorus as well. We have hired all of our junior investment professionals largely on the basis of their blogs, not their resumes or linkedin profiles. You can learn so much more about a person by reading their blog. So to all the people out there wondering about the role of social media in their career plans, I second David Karp’s recommendation. 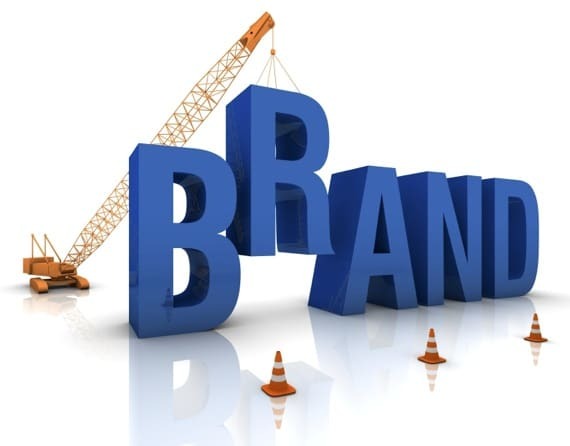 Build and own your online brand and don’t let others define it for you. Is Facebook the great job killer of the 21st century?